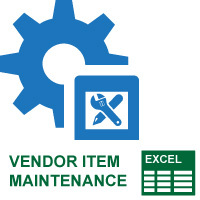 The Vendor Item Maintenance Excel tool allows a user to create and maintain vendor items in Excel and upload them back to Macola software. 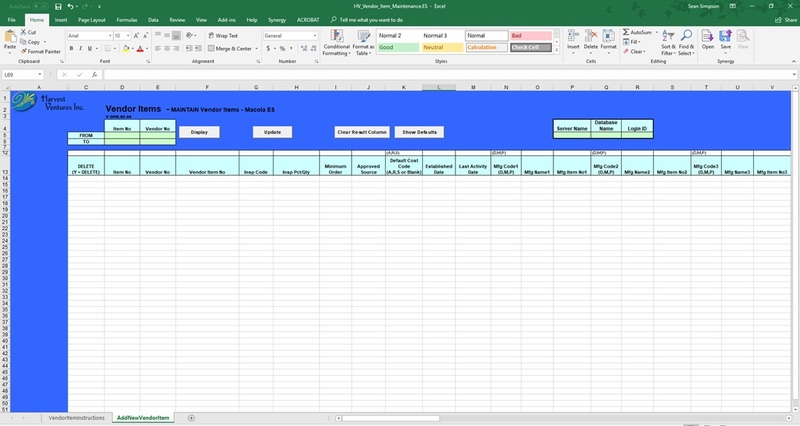 The tool pulls any vendor item within a database Macola into the Excel template. This tool is essential for data loads and mass imports from new vendors. It takes seconds to populate and update thousands of records in Macola.